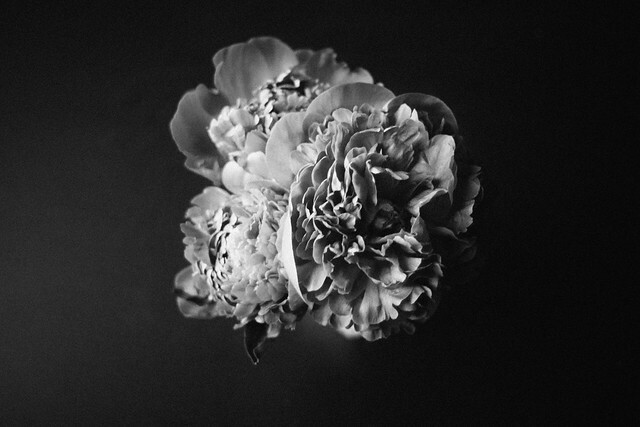 What you can do with moody b+w white tulips, you can surely do with peonies, no? 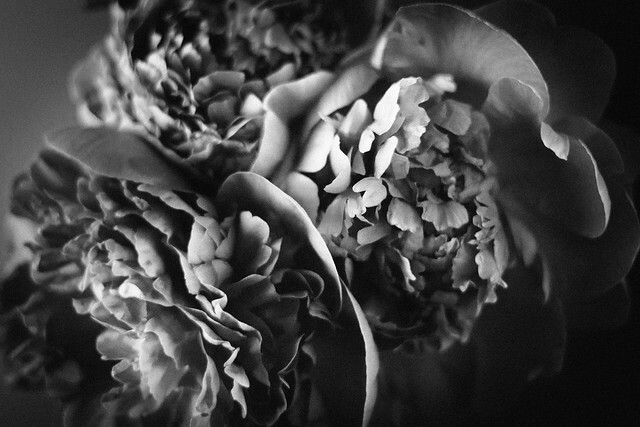 Experimented with black and white edits to see what it would look like compared to the usually lovely and airy peony photos. 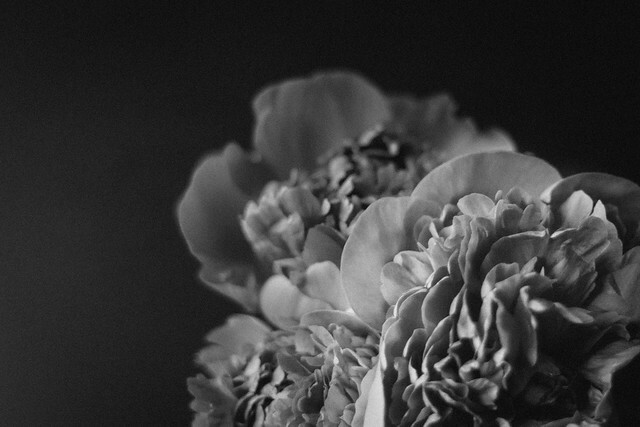 I really love that the petals look so intense in b+w. 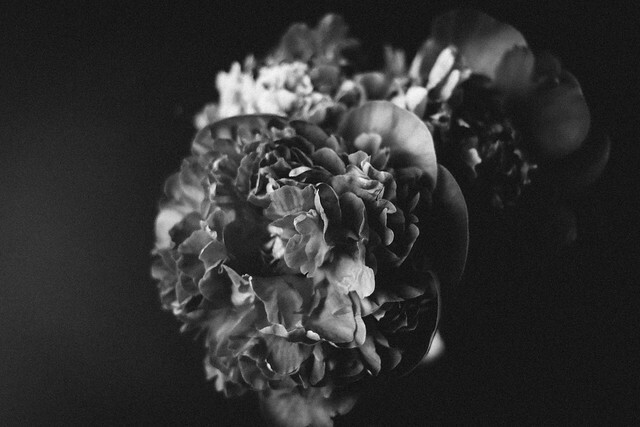 For b+w, I'd recommend using the fuschia peonies (as seen in this shot) because they'll give more of a dramatic contrast. I don't think you'll see as much variation on the petals of the lighter pink ones. Most of these edits are with VSCO Film - Kodak 3200+ and Ilford 5+. You can still see a little bit of a glare on the middle left of the images. I might have to experiment with using the black background at a different time of day to minimize the glare. These are absolutely gorgeous. So beautiful in black and white. Thanks, Janice! :) the black & white edits are always fun to experiment with. Wow. These are so dramatic & lovely. I wouldn't have guessed that flowers would look this good in monochrome.